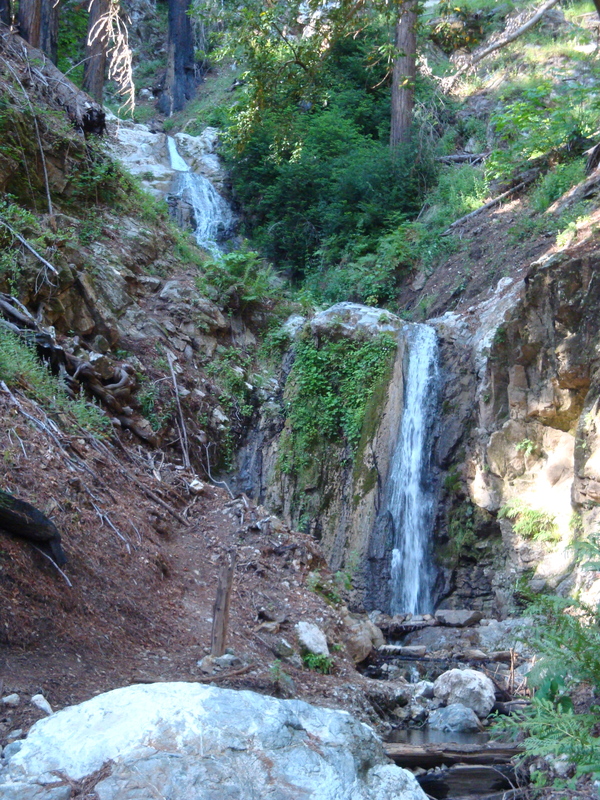 For many, many years the banks of this precipitous South Coast stream were the home of the tallest white redwood (that we knew of anyway) to be found anywhere in the Santa Lucia Mountains. We’re not going to take sides in the argument over exactly how tall it was. Estimates range from 30 to 50 feet (which may have to do with the uppermost portion dying off somewhere along the line). Either way, this was a white redwood of genuinely tree-like proportions. A far cry from the more typical white redwood shrubs and saplings. The tree met its demise in 1999, when the Kirk Complex Fire burned it to the ground. 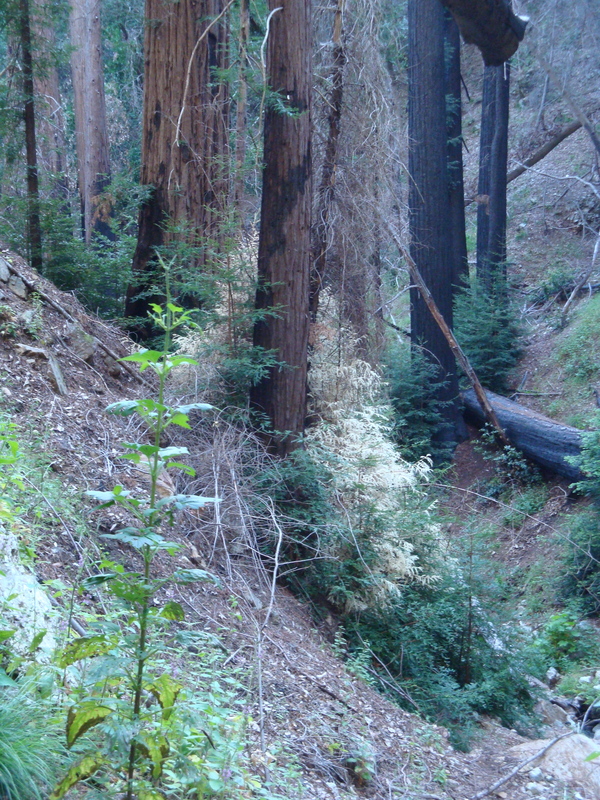 But the roots and the connection to the parent tree lived on and the white redwood re-emerged and was growing again quite nicely, although far from attaining its former stature, when it was burned to the ground for the second time in less than 10 years by the 2008 Chalk Fire. And now, this unusually vigorous white redwood is rising once again from the ashes. The phoenix tree of Big Sur. To learn more about white redwoods, see our White Redwood Page. This entry was posted on Tuesday, May 15th, 2012 at 7:45 pm and is filed under Big Sur, Plants, Santa Lucias. You can follow any responses to this entry through the RSS 2.0 feed. You can leave a response, or trackback from your own site. What a valiant little tree, to rise twice now from the ashes and reach for the sky again. Always amazed at what beauty Mother Nature has for us, and how determined she is to continue on. What a sweet story. It is inspiring to live in redwood country. What an amazing lifeform. Its singular purpose is to grow … in a variety of ways … as fast as it can.